A young teenager appears on LTL’s music video and smiles. He’s surrounded by friends while holding a rubik’s cube. He looks happy, which is fitting because the title of the video is Pasala Bien, meaning, ‘Have Fun’. The song starts, but after the first verse we quickly realize this music video isn’t your average pop song about a teenage crush. It’s about teenage sexual and reproductive rights. Deja los misterios y deja la vergüenza/ Leave the mystery and the shame behind. The music video, Pasala Bien goes much deeper than just enjoying time with friends. The key message of the video is that teenagers can have long lasting fun by preventing teen pregnancy, therefore providing themselves and their family a better life plan and future. The chorus of the music video, “Inform yourself and protect yourself, listen up”, highlights action, while addressing the the lack of information and gap of communication between parents and adolescents. It seeks to counter the poor autonomy in decision making regarding the sexual and reproductive health of teenagers. The music video was created by the Peruvian youth association, Lideres en Tiempo Libre (LTL), “Leaders in Free Time”. LTL is a long standing partner of the Women and Girls Lead Global Peru campaign. 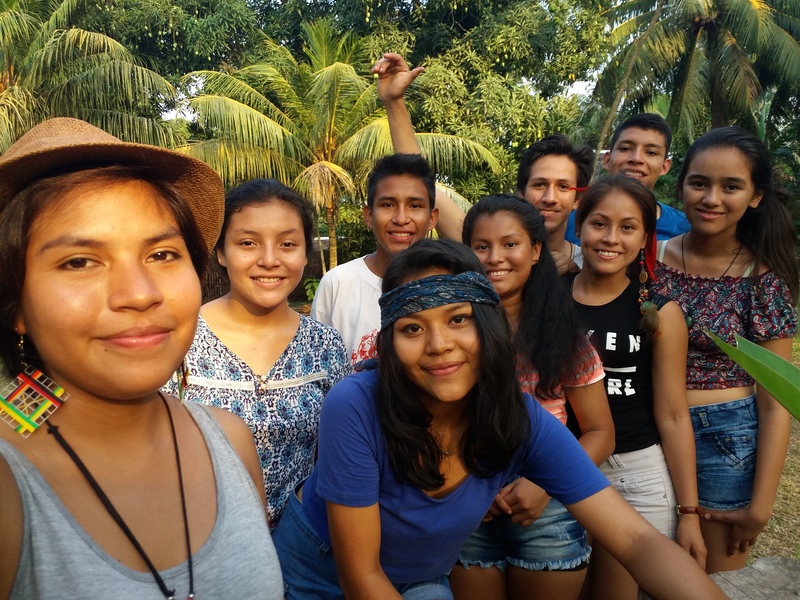 The teens work to raise the visibility and awareness around teen pregnancy, and empower fellow youth to receive access to family planning methods. Saul Linares the director of the music video, is the director of WGLG film, Don’t Back Down and the co-director of Radio Series, Familiando (Saul Linares). The LTL stars of the film are Miguel Amaringo, Sujey Java, Josi Cardenas, and Joel Utia. LTL identified that there needed to be a strong, educational resource directed towards adolescents, that was enjoyable and fun. Throughout the video teenagers dance, sing, laugh, smile, and hold hands- having fun while also promoting an important message. Pásala bien, Protegida e Informada ya no estarás preocupada./ Have a good time, protected and informed, you won’t be worried anymore. Que nadie te meta presión, que nadie decida por ti./ Don’t let anyone pressure you, or anyone decide for you. Con nuestros padres y maestros debemos conversar. / With our parents and teachers, we need to have a conversation. Surrounded by friends, dancing, Josi rocks a stylish hat and funky earrings, and embodies what every teenage girl wants to be like- confident and courageous. Her words hit the heart of the campaign: to create our desired future, teenagers, parents, teachers, and community members need to have a conversation on teen pregnancy. So next time you’re having fun with family and friends, play the music video, Pasala Bien, and strike up a conversation on sexual and reproductive rights for teenagers.